Shine a light on your new graduate by decorating your party tables with our graduation themed candle favors. Send one home with each guest as a memento of your graduate's special day. 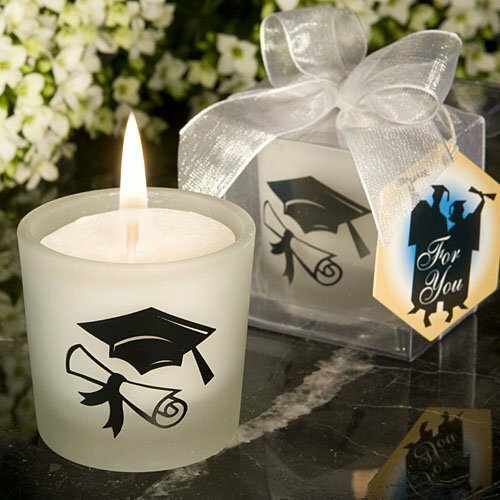 Each candle measures 2" x 2" and has a frosted clear glass holder decorated with black graduation themed graphics and includes a poured white candle inside. We've packaged them individually in a clear acetate box tied with a white organza bow and attached a graduation themed "For You" tag.